water fountain, originally uploaded by roadsidenut. 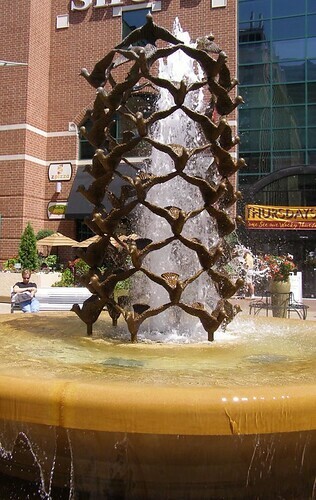 A fountain in downtown Rochester, MN. A familiar haunt of mine when I lived in southern Minnesota. I'd love for someone to clue me in to the exact location of this fountain. This is the Peace Fountain on the Peace Plaza downtown Rochester pn First Avenue and first Street SW. Created by local sculptor Charles Gonyea.